Jean-Simon Berthélemy’s “Alexander Cuts the Gordian Knot” (1767), oil on canvas. École nationale superiéure des Beaux-Arts. Some say Alexander the Great saw where the knot was pinned and so released it; others, that he impatiently cut it with his sword. Either way, he fulfilled the prophecy that whoever unraveled the knot would become lord of Asia. Where’s an Alexander now to solve the United Kingdom’s tangled Brexit crisis? Enes Kanter (right), — then of the Utah Jazz, now of the New York Knicks — attempting to block a shot by Patrick Beverley at the Houston Rockets’ Toyota Center March 17, 2014. Is some speech freer than others? Everyone is entitled to his opinion, until, of course, someone thinks he isn’t. Recently, three incidents have challenged our concept of freedom of speech. 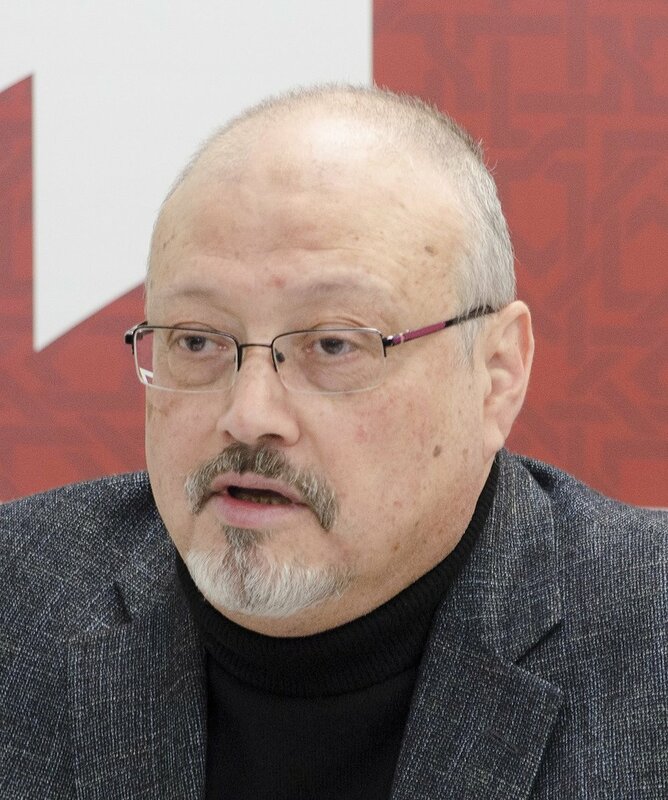 The grisly murder of Jamal Khashoggi – for which the Saudis have now accepted responsibility (sort of) with some cockamamie blame-the-victim scenario – proves Benjamin Disraeli’s Macchiavellian dictum that there are no permanent friends or enemies, only permanent interests. I once had a job in which the staffers liked to say that we all had a timeshare on the doghouse. We called it “the Pomeranian palace,” which lent – as Jane Austen might’ve observed – such an elegance to our misery, for no matter how talented you were or how much you worked, eventually the wheel turned to you, because that was the way our bosses rolled.